In with the new and out (soon) with the old. 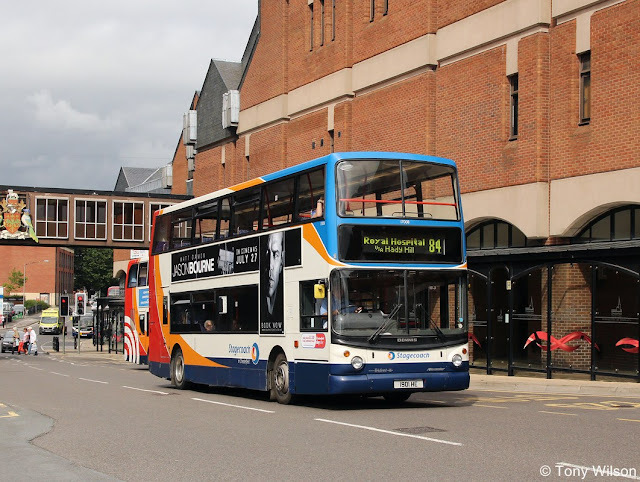 Seven new ADL E20D/Enviro200 MMC single-decks went into service on the 8th of August with Stagecoach in Chesterfield. 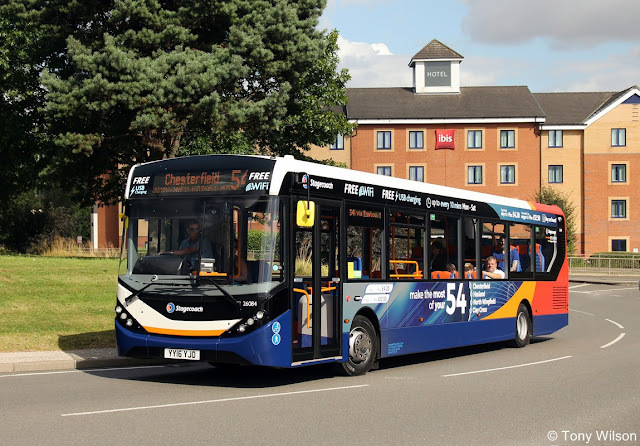 Numbered 26081-26087 (YY16 YJL-P/R/S) they have been delivered with five ostensibly for route 54 (Chesterfield & Clay Cross), 26081-26085 route branded and 26086-26087 in nationwide corporate livery. The latter have spent most of their time on route 74 (Chesterfield & Duckmanton) and all are 41-seaters and 11.8m long. The route 54 does actually require six buses to operate the service this last duty covered by an existing ‘Gold’ liveried ADL E40D/Enviro400 double-deck fleet number 15195. 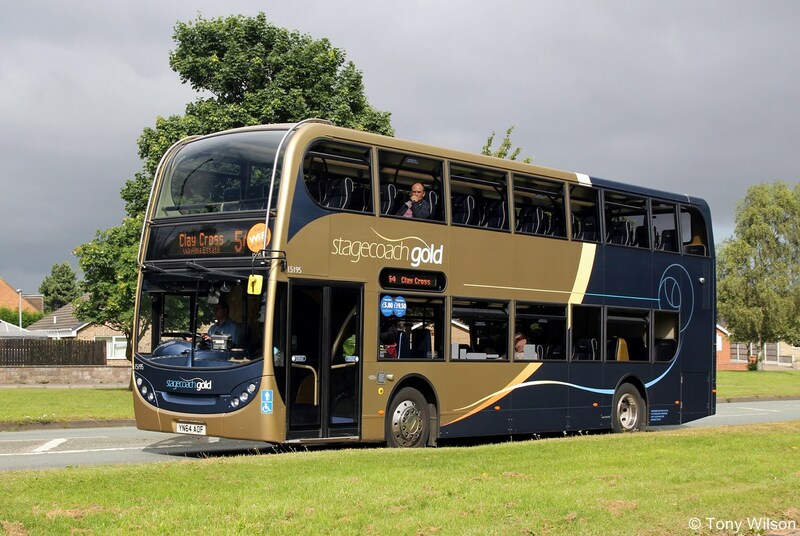 This is a spare vehicle to support 'Gold' route X17 (Sheffield & Matlock). So that is the new buses dealt with, now on to the old. With a new element of the Disability Discrimination Act, 2005 coming into force from the 1st January 2017, buses that do not meet the new requirements for revenue-earning service must be withdrawn. 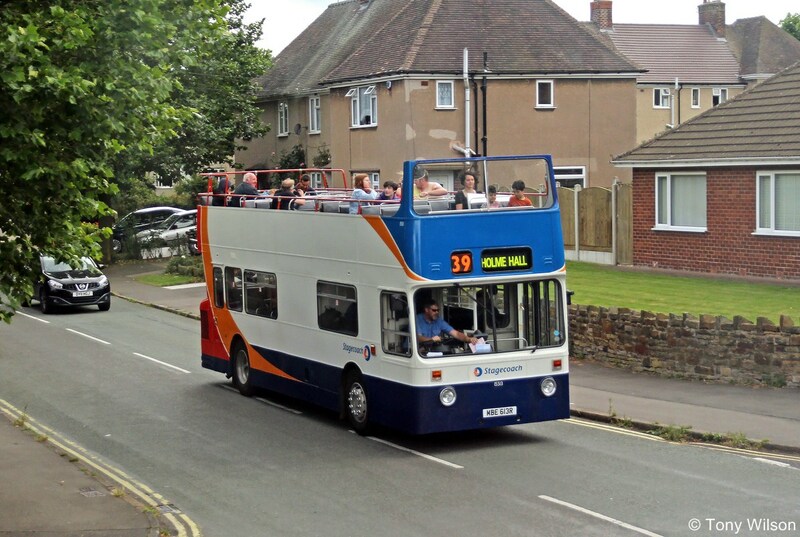 Included are six of the Dennis Trident/Alexander ALX400 10.5m double-decks in the Chesterfield based fleet, some of the oldest buses in the local fleet. The buses in question bear fleet numbers 17004/7/8/9, 17050/2 and another that joined them later 17058, which replaced crash damaged 17050. All were originally supplied new to the London subsidiary of the Stagecoach empire during 1999. Currently with cherished registrations they were originally registered respectively as S804/7/8/9 BWC and T650/2/8 KPU. 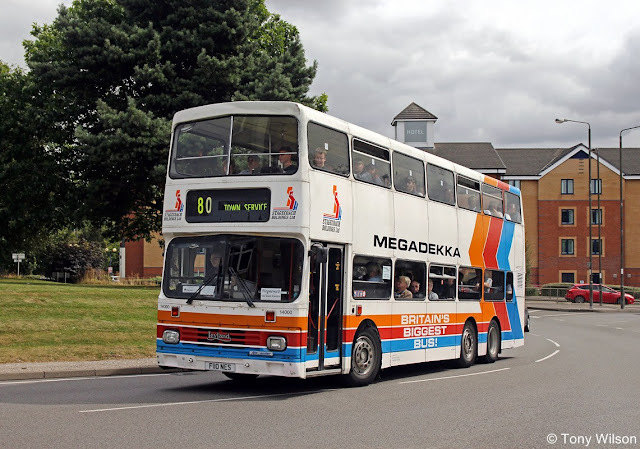 So as these are due for withdrawal by the end of the year, Chesterfield depot’s AOM Shayne Howarth organised a special ‘Farewell to the Dennis Trident’ running day on Saturday 13th August. Thus they were placed into daytime service on route 25 (Chesterfield & New Whittington) and the cross town route 84 (Holymoorside & Royal Hospital). 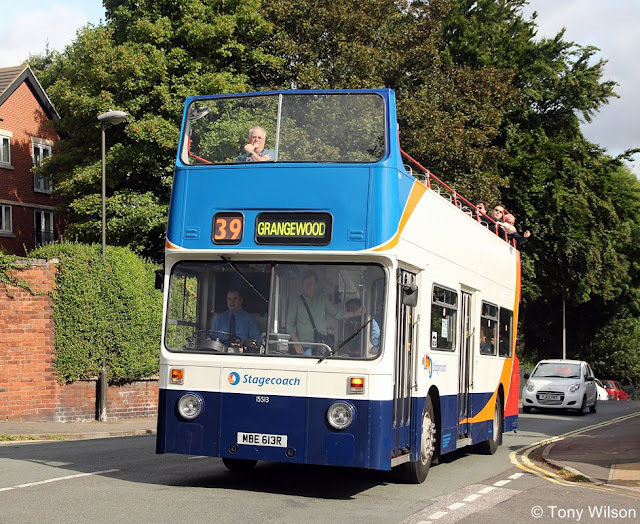 In addition the open-top Daimler Fleetline 15513 (MBE 513R) spent much of the day on cross-town route 39 (Holme Hall & Grangewood). 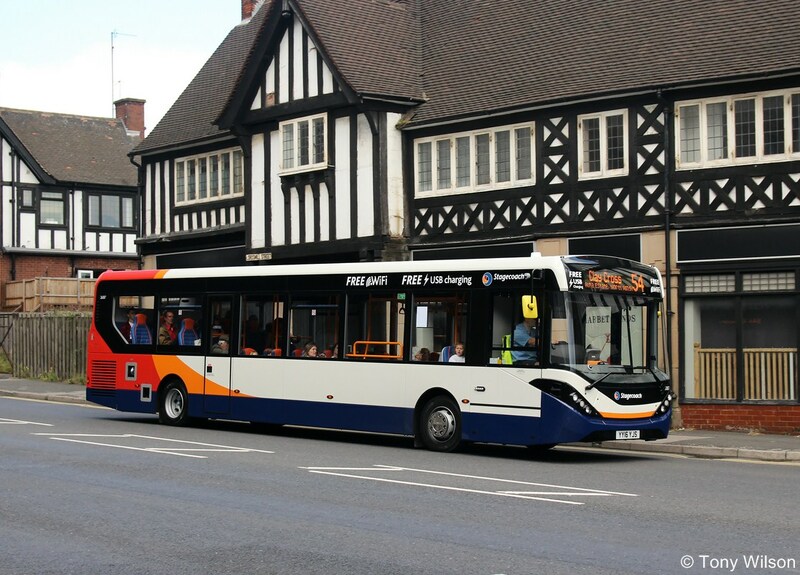 However, probably the biggest surprise of the day was the appearance of Stagecoach’s fleet number 14000 (F110 NES). 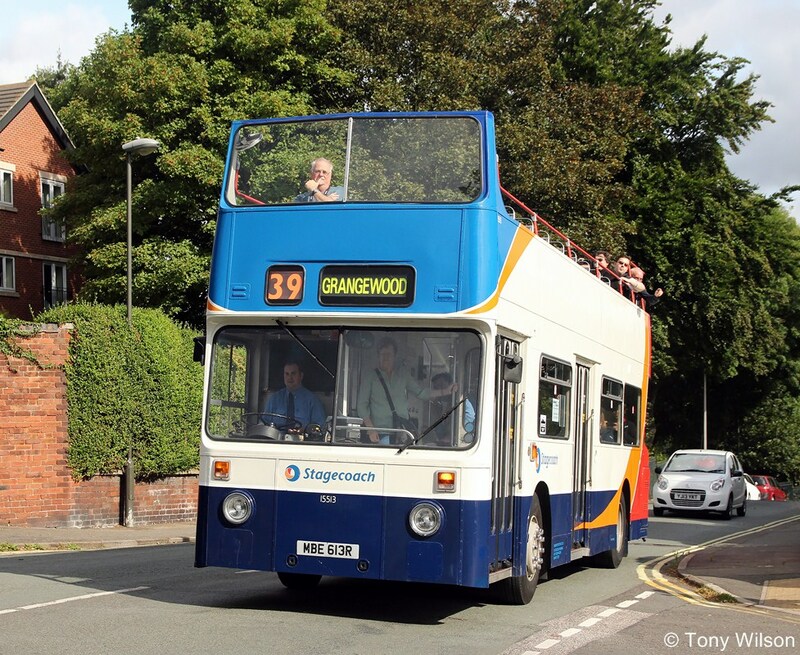 Taken in on loan from the company’s Northampton depot, the 110-seater, tri-axle Leyland Olympian with Alexander bodywork, performed several journeys on cross-town route 80 (Wingerworth & Brimington). Later in the day in ran a couple of return journeys over route 74 (Chesterfield & Duckmanton). 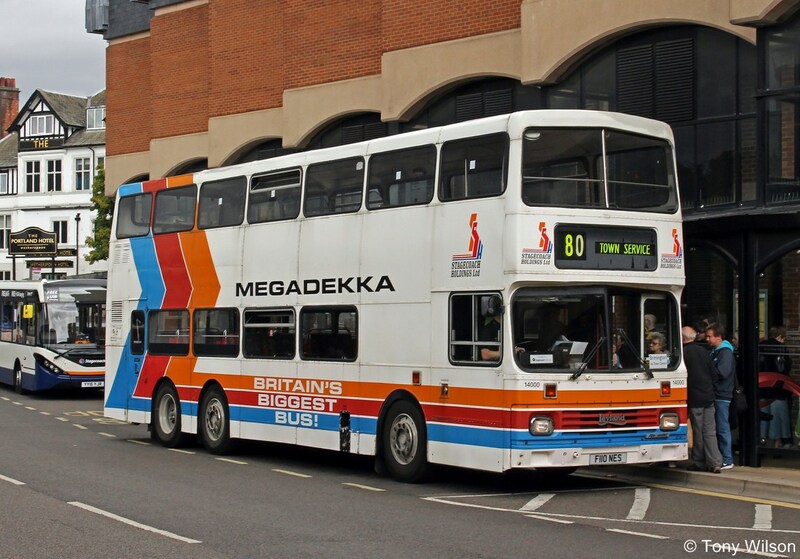 These two buses certainly turned a few heads during the day and were a huge draw, taking much in fares. However, a rather nice little tale that reached one of the team’s ears. Additionally a steam hauled special train from London King’s Cross Station brought visitors to Alfreton where some were taken by coach to the Crich Tramway Museum, then onwards to Chesterfield to either visit the town or be transferred by coach again, this time to Chatsworth House. It transpires (!) that a number of the travellers stayed in the town, some of whom took advantage of the special running day. 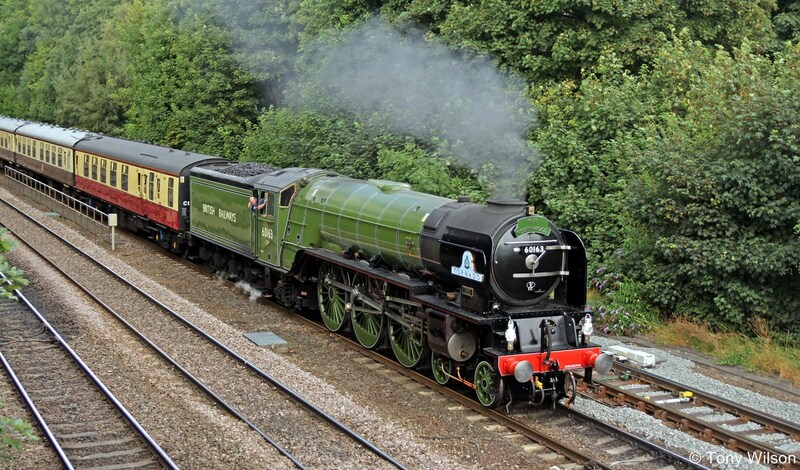 The special train hauled by steam engine A1 Peppercorn 60163 ‘Tornado’, added to the variety of transport in and around the town on that day. 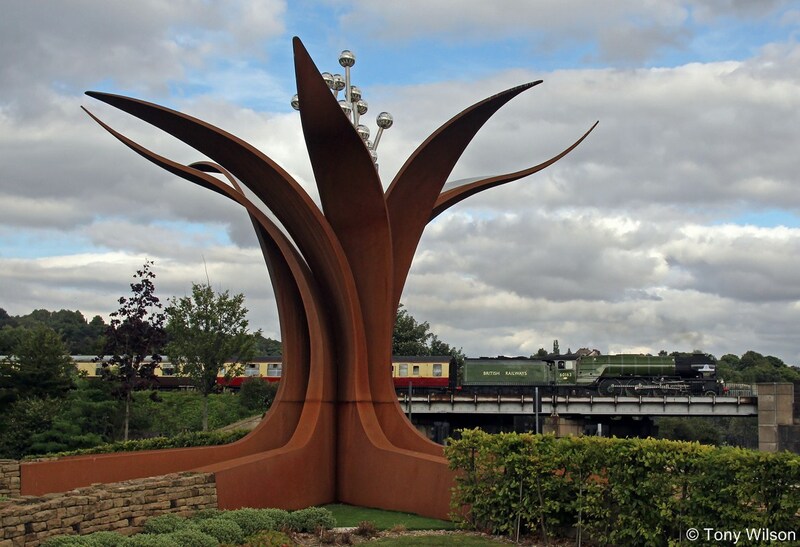 Whilst not in use the train was stabled at Barrow Hill and upon its return provided two photo opportunities, first on the approach to Chesterfield at Tapton Bridge then a bit of an arty shot as it passed over the road network at Horns Bridge and the town's new 'feature' on the roundabout. This kind of completed a rather interesting day of transports of delight.